Plants are the essence of every interior and the modern lifestyle. 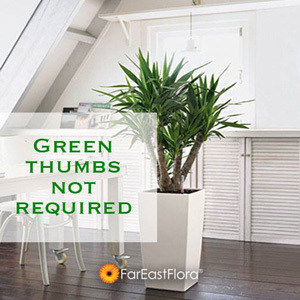 Our special selected self-watering potted houseplants are style statements that epitomize who we are, while remaining true to nature. Make this a perfect gift for yourself, your loved ones or business associates for any occasion to come! Far East Flora Pte Ltd © 2019. All Rights Reserved.